Twyla is a storyteller - your wedding is one of the most awesome moments in your story as a couple, and I am there to help you tell it! I want to capture your reality - the fun you have together, and deep, lasting love. Each session is something fun we do together - and that's why ALL Admire Studios sessions include high resolution images to keep and to share. HAVE YOU CHECKED IF YOUR DATE IS AVAILABLE YET? What kind of style does Twyla photograph in? While no two sessions or weddings with Admire are the same, there are definitely some similarities. If you like punchy colours and dramatic black and white images, a focus on people but with all the details covered, you'll probably like Twyla's work, but the best thing to do is just take a look. Getting married elsewhere? Want to try before you commit? 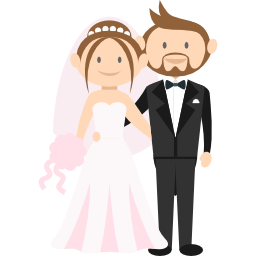 Many of our wedding packages include engagement sessions, however we do offer them individually as well, or as a taste test if you're considering Admire for your wedding - in that case, the fee would serve as your deposit when I send a wedding contract. Some couples with very small wedding budgets may be able to book our Beloved Sessions on their off-season wedding day, or within 3 months of their heavy season (June-October) wedding. I love weddings of all sizes, but small intimate weddings whose guests are just close family and friends, have always captured my heart. It is incredibly special to be chosen to witness and commemorate that kind of a day through photography, and I have decided to begin to specialize in smaller ceremonies, since many clients have told me that they have difficulty finding a photographer to work with. Covering your Pint-Size Weddings, and meeting your modest budgets! Weddings can be pretty expensive. So I've got payment plans. For many of my younger clients, my services are a quarter or half of their whole budget. Most wedding vendors require your full amount upfront, or a deposit and the rest on your wedding day. That kind of thing can be stressful, so we created a flexible, interest-free Wedding Payment Plan that works for most of our clients. You can also sign up for an Admire Studios Wedding Registry if you like. The best part about it is that it works for us both: I get paid year-round, and you get to make a heavy burden lighter. 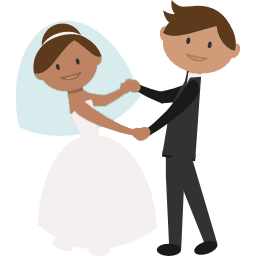 Divide your favourite wedding package into 12 equal payments. This will usually result in payments of around $100-200. 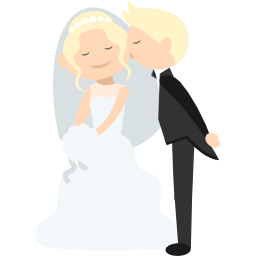 Divide your favourite wedding plan into 6 equal payments. This will usually result in payments of around $500. 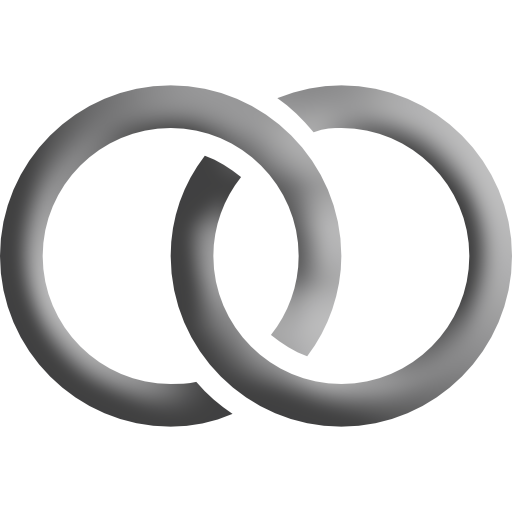 This option is mainly for couples paying over two years, or who choose this option more from convenience than from financial limitations. 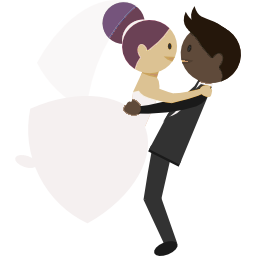 Each quarter before your wedding, pay 1/3 of your remaining amount starting with your deposit. Typically this results in $1000-$2000 payments depending on your plan. Occasionally I meet an amazing client who requires a longer time frame and smaller payments, or who has different payment needs, like bi-weekly payments or different dates. I can often accommodate you. I HAVE NO IDEA WHERE TO GO FOR PHOTOGRAPHY. I can advise you on the best places to go for your photos - even inside a space you've already chosen! There's dozens of great places in Edmonton, St. Albert, Sherwood Park, Spruce Grove, Leduc, and wherever your wedding happens to be. Heck yes! My passport is ALWAYS ready. I even offer deals to anyone who takes me with them on a wedding vacation to a place I've never been to before or would like to go again. Especially get in touch if you're heading to the Carribean, getting married under giant Redwoods, or tying the knot in Paris. MY WEDDING IS NOT IN YOUR MAIN SERVICE AREA, ARE THERE TRAVEL FEES? If your wedding is within 3 hours of Edmonton North, I'm happy to come out for no extra charge. My mileage fee is $0.55/km, or if there are flights you'd be handling the cost of that and accommodation: a parent's guestroom, AirBnB, or Hotel would all be fine. The only exception to this is Saskatoon - I don't charge travel for my old hometown. DO WE HAVE PRINTING RIGHTS? Certainly! My contracts allow prints up to size 8x10 - for quality control, I ask that you work with me for the enlargements and other products. Store Labs like Wal-Mart produce awful color, so please don't print there, ask me about alternatives. Absolutely not. Trust me, I'll provide you with the best final images you could ever have asked for. Or trust all the happy clients... The only reasons to ask for this are if you don't trust your photographer or want to edit the photos yourself. I don't work with people who don't trust me, and it's against my contract to re-edit my photography in any way other than cropping it. There are always options! Some couples have a particular indoor place in mind, or I can help you find a place. In my experience, the weather is rarely bad all day - and if you don't mind getting wet I'm happy to shoot in the rain or snow - as some of my portfolio can show! I've never been completely rained out! Even if it's extremely cold, we duck in and out and I'll just have you hold your breath for a moment. HOW DO I SHOWCASE MY PHOTOS AFTERWARDS? Boy do we ever have ideas for you! We have an AMAZING digital gallery, you can have your own custom phone app, and I specialize in extraordinary showcasing options including timeless albums and accordion books, metal prints including curved metal prints, and canvas. Ask me for more info. Never go to a wedding without it, and I've had to use it a few times!! Whoever you hire, please, please ask them this question and don't let them shoot your wedding without it. It's one of the best ways to tell if someone is serious about your once-in-a-lifetime wedding. If it involves planning a wedding, probably! I can make recommendations and help with timing decisions. My clients get me as a resource, too. Enjoy a nice beverage with Twyla and talk about your wedding!